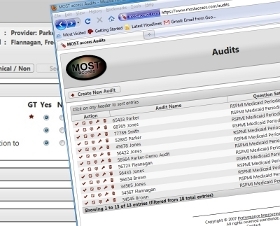 MOST Interactive™ is a web application that allows health care organizations to track performance through the use of audits and reports. 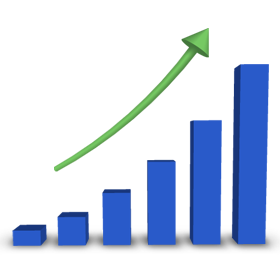 Audits are fully customizable and once they have been entered through the easy-to-use interface, you have instant access to several informative reports including recoupment risk data. Our personalized training further enhances the value of this cost-effective software. Modify question sets with ease! That's right! Now you can create and answer audits while on-site using your mobile device! "By using MOST Interactive™ software, I have been able identify potential problems...reducing the chance of recoupment and, thereby, increasing profitability and my operating budget." "MOST Interactive™ is easy to use, efficient and cost effective - I wish I had been able to use this software years ago." "I rest better knowing, through use of MOST Interactive™, I have proof that I am actively trying to identify compliance problems." "MOST Interactive™ is a great way to spot individuals providing good quality care." "I use MOST Interactive™ software to prepare for upcoming surveys." Copyright © 2007-2019 PIL, Inc.